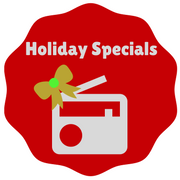 WUNC presents a number of holiday specials during December 2018. Some of our regular shows will also have special features during this time including Back Porch Music. THU 11-22-18 - 12n-2p – Turkey Confidential - The Splendid Table’s annual live Thanksgiving call-in show. Francis Lam takes calls and comes to the rescue of Thanksgiving cooks, kitchen helpers, and inner guests during the biggest cooking day of the year. SUN 12-2-18 3p-4p - Hanukkah Lights 2019 – Susan Stamberg and Murray Horwitz host this perennial NPR favorite will all new stories for the season of light. 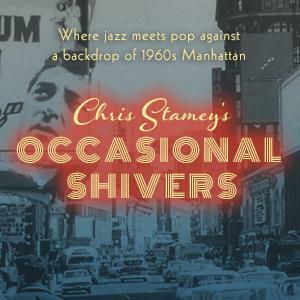 SUN 12-23-18 4p-5p – Occasional Shivers – This new seasonal offering from WUNC uses story and original song for a tale of young love at Christmas time. The show is hosted by Branford Marsalis and stars Mike Wiley, Millie Maguire, Don Dixon, Marshall Crenshaw, Skylar Gudasz and Django Haskins. It’s written and produced for WUNC by Chris Stamey. MON 12-24-18 – 12n-1p – Tinsel Tales 1 – Holiday classics from the NPR archives including Santaland Diaries from David Sedaris, Bailey White, John Henry Faulk and others. MON 12-24-18 – 8p – 9p – Tinsel Tales 2 - More of the best and most requested holiday stories. Joy, hope, and childhood memories overflow as NPR voices, past and present, tell stories of the season. Hosted by Lynn Neary. TUE 12-25-18 – 12n – 1p – Tinsel Tales 3 – The third in our series of extraordinary Christmas stories that will transport you to unexpected places. Audie Cornish, Ken Harbaugh, Nina Totenberg and other voices from NPR's past and present tell stories of the season in this hour-long special. TUE 12-25-18 – 8p – 9p – Tinsel Tales 4 - In keeping with a well-loved NPR holiday tradition, hear the fourth collection of extraordinary Christmas stories. Some tales are funny; some are touching; some are insightful or irreverent or nostalgic or surprising. WED 12-26-18 12n-1p – A Season's Griot - Storyteller Madafo Lloyd Wilson hosts this annual Kwanza special produced by our friends at WHQR in Wilmington. The show captures the tales and traditions of African American and African peoples. WED 12-26-18 8p-9p – A Season's Griot - Storyteller Madafo Lloyd Wilson hosts this annual Kwanza special produced by our friends at WHQR in Wilmington. The show captures the tales and traditions of African American and African peoples. SAT 12-29-18 11a-12n – Right Turn – WUNC Capital Bureau Chief Jeff Tiberii looks at the political landscape that lead to the first Republican majority in the General Assembly in a century. In the decade since seizing control the GOP has used its power to make significant changes to economic and social policies. MON 12-31-18 12n-1p & 8p-9p – Best of the Best (part one) – This was recorded at the Third Coast Awards Ceremony and is the self-described "Oscars of Radio." The Third Coast Audio competition winners include a wide array of ground-breaking audio production from around the globe.